A Separation Agreement or Separation Agreement and Property Settlement is a contract between a Husband and Wife settling the marital claims in light of the end of their marriage. A Separation Agreement can fully resolve claims for Property Division (Equitable Distribution), Alimony, Child Custody, Child Support, and other issues if drafted properly. The majority of divorcing parties in North Carolina settle their marital claims with Separation Agreements. Raleigh Separation Agreements must meet certain formalities to be enforceable, and the drafter need be aware of and understand not only the marital claims being resolved, but also fundamental contract law to ensure the legality and enforceable of a Separation Agreement. At the Doyle Law Group, P.A. our Raleigh Divorce Lawyers have been drafting North Carolina Separation Agreements for 14 years. We have the skill and expertise to assist you in settling your divorce related claims with a valid, enforceable, and thorough Separation Agreement and Property Settlement contract. BASIC LEGAL REQUIREMENTS of a SEPARATION AGREEMENT. Parties must be married and not divorced. Signatures must be voluntary and free from coercion. When parties are unrepresented, a fiduciary relationship may be inferred raising the fairness and disclosure requirements. The Agreement must fully resolve the claims, and expressly waive the marital claims. In basic terms, a valid Separation Agreement and Property Settlement will meet all of the requirements of a regular contract, and above and beyond it must be notarized, be at least somewhat fair on its face, and be free from other bad acts that generally void contracts. WHEN IS A SEPARATION AGREEMENT A GOOD IDEA? We recommend separation agreements in cases where there is a certain level of trust between the parties and your spouse is a personally and financially responsible individual with good credit. In other words, a spouse that never pays their own bills is not a good candidate for a contract. 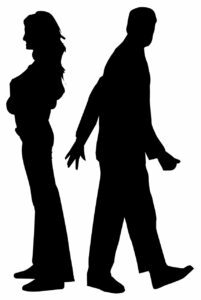 If your Spouse responds only to force, then a Separation Agreement settlement is not the best choice. Separation Agreements are also somewhat less effective in regard to child custody as the Custody Provisions are not binding upon a Court and are not typically enforce by local police. Complicated or high value property divisions may also be poor candidates for Separation Agreements as the enforcement mechanisms are weaker and some third parties may not be as willing to recognize the contract. Separation Agreements are typically less expensive than Consent Order settlements. Naturally longer periods of negotiation or frequent revisions can cause the negotiation or preparation of a Separation Agreement to become expensive, however on average any Court action, even through consent will incur higher legal fees. The advantages of Consent Orders (which are Court Orders containing the settlement terms entered by Consent without a trial) are that they are easier to enforce via Show Cause Actions, quicker to enforce, less expensive to enforce, and carry the threat of jail in a contempt action for violation of a Court Order. By comparison, if either one of you violates the terms of a Separation Agreement, the victim would have to sue for a Breach of Contract, prove damages, and /or seek to enforce the terms at issue or seek to nullify the Agreement. This will normally involve more legal work, time, and expense than a show cause filed to enforce a Court Order. Regardless of what your case involves, the decision of how to resolve marital claims and formalize any separation agreements should be made with the assistance of an experienced Family Law Attorney. At the Doyle Law Group, we have been helping Clients resolve and settle divorce Claims for over 14 years. To learn more about separation agreements in North Carolina, call (919) 301-8843 or complete the form below. Contact Us to Get Professional Legal Assistance: (919) 301-8843.